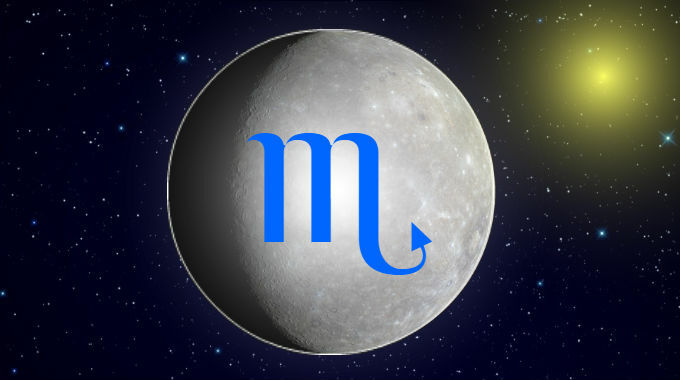 Mercury in Scorpio is in a fixed water sign and takes on the qualities of its ruler Mars: probing, secretive and sharp. People with this placement tend to be shrewd detectives, saying as much by what they don’t say, and understanding more than what is said to them. This can make them great investigative journalists and researchers who are willing to do what it takes to get to the truth. On the downside this can also lead to paranoia and judgment clouded by passion and suspicion. Sometimes this placement shows an obsession with taboo subjects and dark topics. They’re probably tickled most by dirty jokes and dark comedy. This is especially true if you were born with Gemini, Virgo or Scorpio rising. Whether you experience the better or worse significations of this position depends on Mercury’s relationship with the Sun and whether you were born during the day or at night, and the kind of aspects it makes with the other planets.